A recent partnership struck in Congo will bring life and hope to desperate patients and families suffering from AIDS by providing free access to life-saving antiretroviral (ARV) medication. 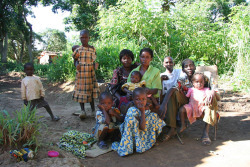 Patients in the community of Likasi, DRC (Democratic Republic of Congo) have never had access to ARV’s, leaving most AIDS patients (including mothers and fathers) no future other than death. Hands at Work in DRC has had a great longing to see their patients live longer, healthier lives. For too long they’ve seen broken families because of the death of one or more members due to HIV/Aids. Through a long process Hands at Work in DRC have finally been able to see their dream come to a reality. All patients now have access to free testing and treatment through AMOCongo.